This is a pack of one pair of Bachmann Center Shank Medium HO-Scale E-Z Mate II Magnetic Couplers. These couplers fit most HO scale locomotives and rolling stock with built-in draft gear boxes (coupler pockets). 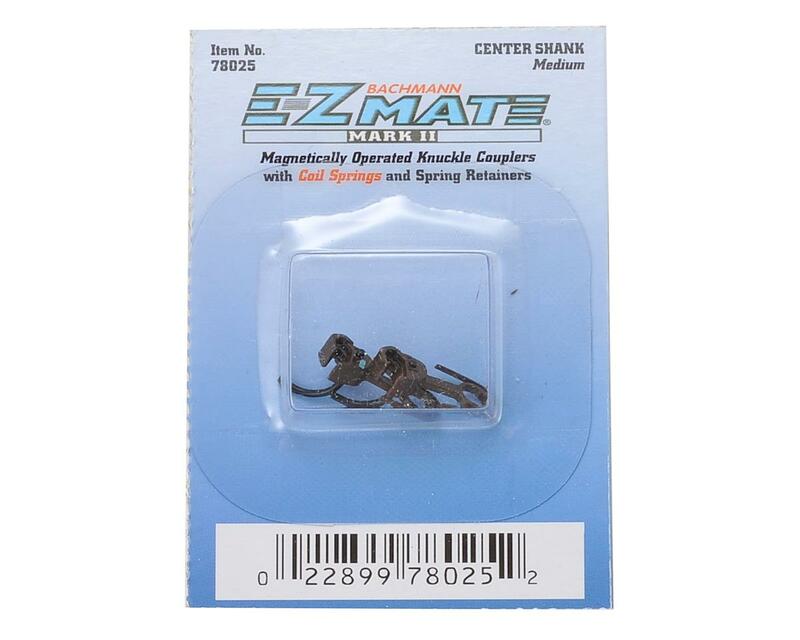 E-Z Mate eliminates the problems and expense associated with separate coil springs. These couplers operate with a standard metal "glad hand" and under track magnet. Patent pending spring retainers. Uses coil springs. Compatible with all magnetically operated knuckle couplers. Installation instructions provided on each individual package unit.